Another edition of What’s On Your Camera Roll hits the interwebs today and I know that all of my readers will be clicking madly to see what extraordinary things I am going to share. So without further ado – here they are. I shared the following picture on Facebook of a chocolate delight that we got at The Chocolate Fetish in Asheville. 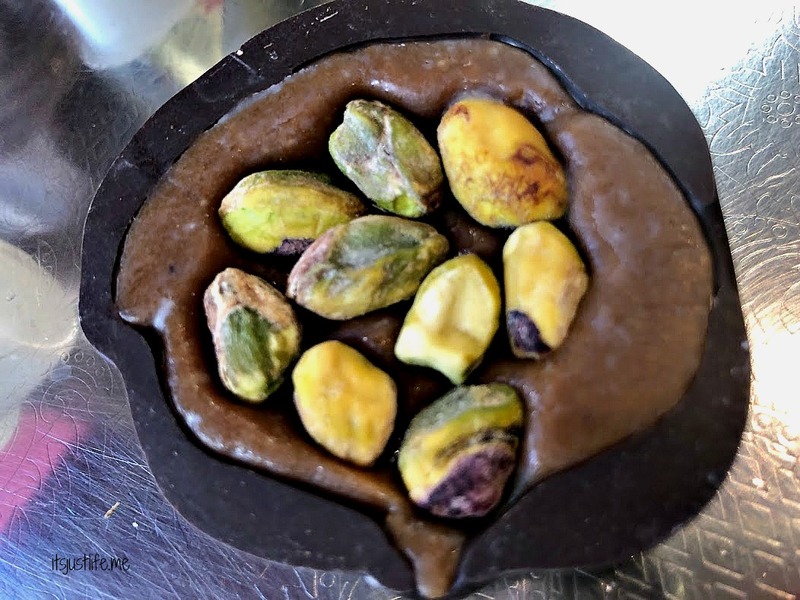 The name on the glass was “Frog” and it was a delightful piece of dark chocolate with caramel and pistachios in the middle. It was delicious. Later one of my college friends, Stephanie, explained why it was called a Frog. She is a horse woman and said that the bottom of the hoof is referred to as the frog and that it looks somewhat like this. Ding ding ding. I should have known that. It made total sense then. But I suspect it tasted much better than the hoof of a horse. Of course there are always cat pictures on my phone so here is the usual Holly in a box picture. 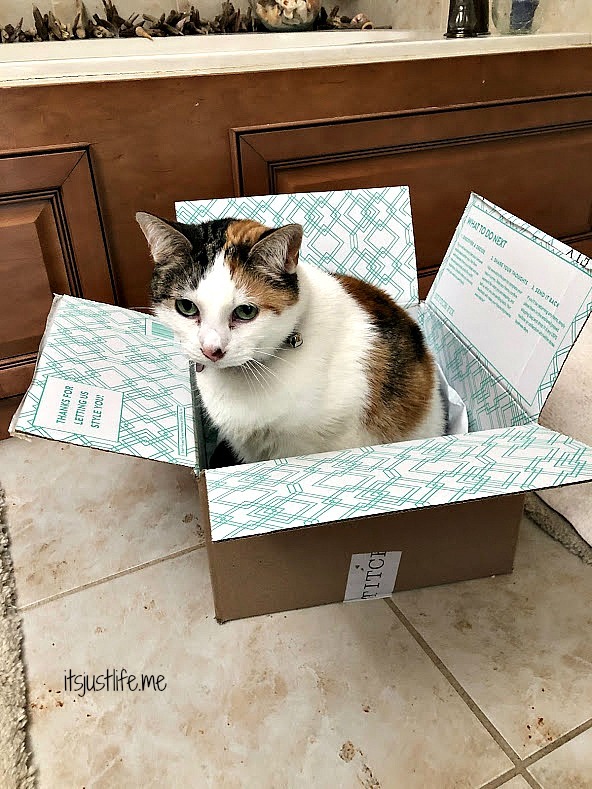 She is my box sitter. Buddy not so much. It’s time to renew my passport. 10 years ago I was living in Australia and had to renew it and I remember sweating bullets that it would get to the consulate and back safely. Navigating the renewal system in Australia was a bit daunting but obviously I succeeded since I made it back to the United States okay. But I digress. 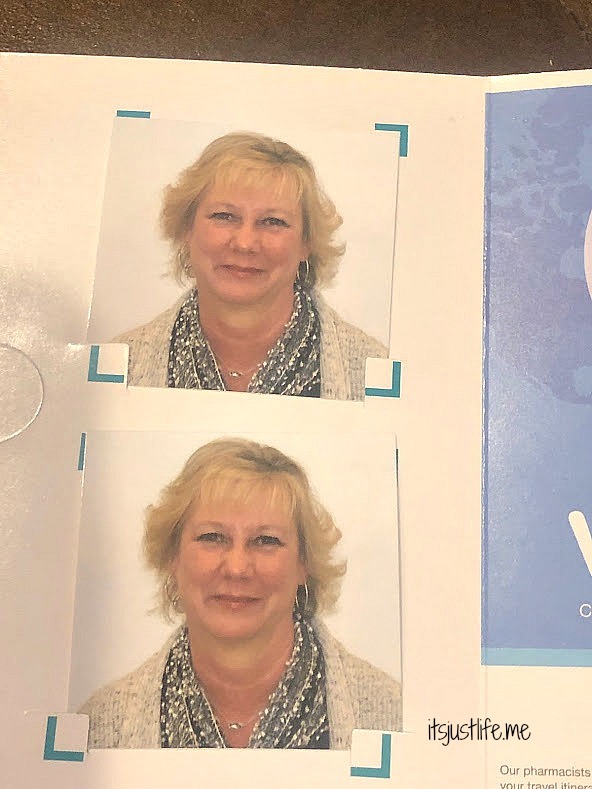 I had to get the passport photo taken and do you know how difficult it is to “smile without showing teeth”? Ugh. I look like a dork. Living in the South is a great thing and I do love all things Southern. 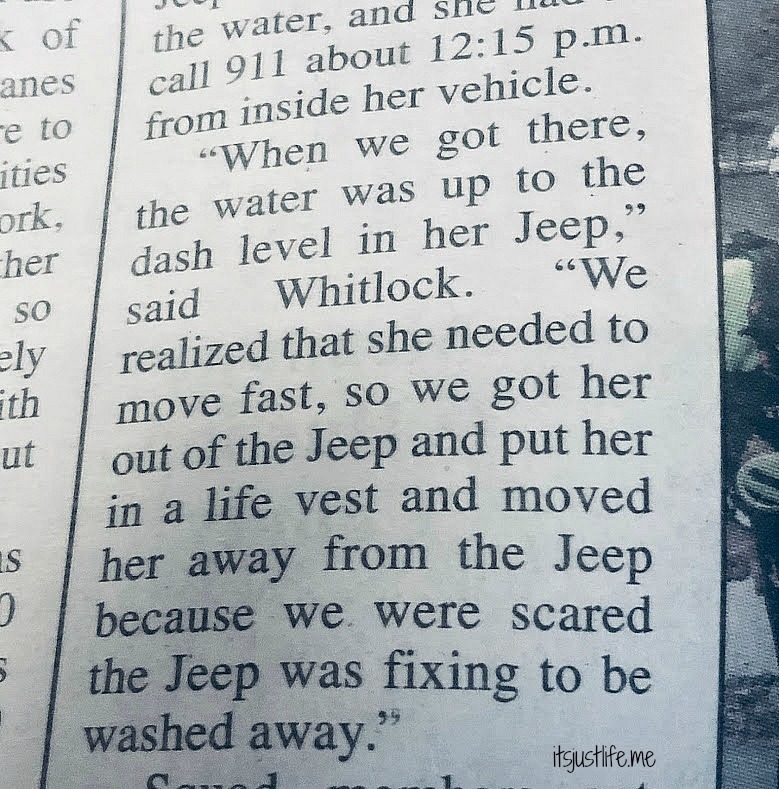 Our local paper often has interesting little things that I can quote and the following quote from someone who helped rescue a woman who got trapped in the rising waters that we have had on some of our roads lately made me giggle . There’s nothing funny about the scare she had but the last line is pure Southern. I have documented my various Starbucks names over the years. 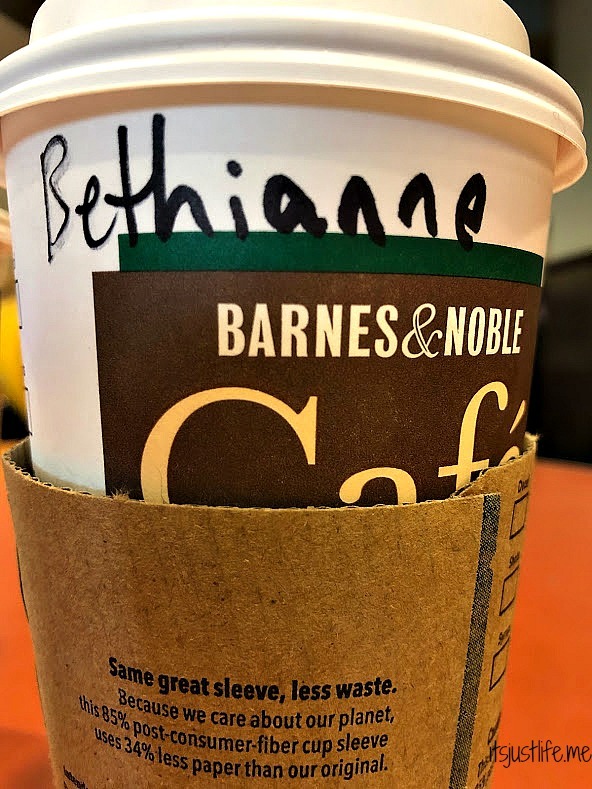 The latest one has kind of stuck and Mr. Diamond has started calling me Bethianne. 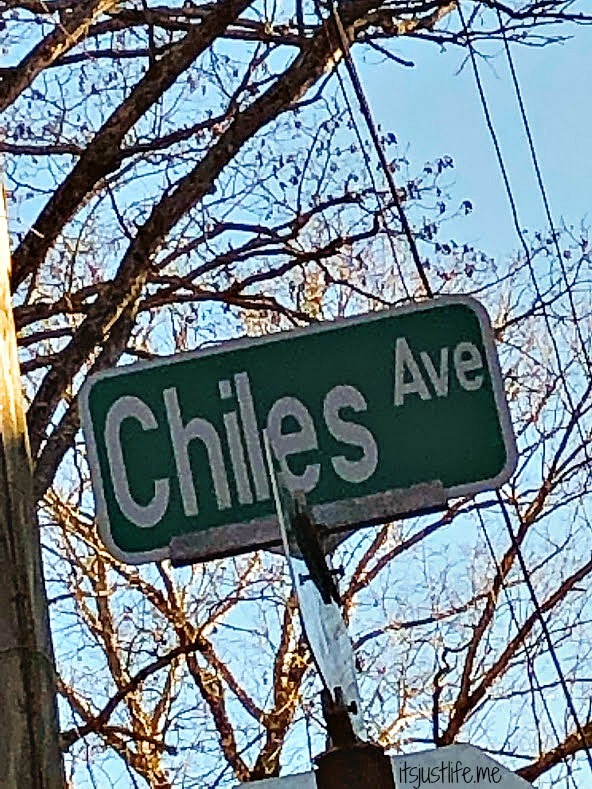 And finally a tribute to our family – a street with our name found in a suburb of Asheville. It makes me happy. Anything interesting on your camera roll? I would love to read all about it in the comments section. Don’t forget that each comment on the blog this month means a 50 cent donation to our Comments for a Cause – Dementia Society of America. These are great! Yes, “fixin’ to” is definitely southern! LOVE your new bracelet (Mr. Diamond did good). neither of our kitties are box sitters. Bethianne: so cute. And you do NOT look like a dork! I thought you would like the “fixin” as well. It is definitely southern. 🙂 Loved your post today, Dianna! Yes, my first name is wrong on my passport now. Haha. I guess I will have to figure out how to change that when I get it back which I hope happens . I got a little panicked because of the government shutdown….hopefully it will get done sometime. Your passport picture is quite adorable, although you do look like you are up to something. I was told not to smile at all on mine and that is so hard for me to do. My daughter once said that if you actually looked like you do on your passport picture, you are likely too ill to travel! A friend of mine who has a very youthful look, like you do, was once detained at a Russian airport because her picture didn’t match her birth date. So be careful! Aren’t you sweet? I think I am very critical of every single picture of me taken but then isn’t that the way it usually is? I love what your daughter said about the pictures and she is probably correct! What a variety of interesting images with equally interesting stories. My phone holds mostly grandkid pix. Surprised? Love, love, love the bracelet! That Mr. Diamond treats you right. Not being from the south, I don’t say I’m fixin’ to do anything, but I always remember a dear friend from Georgia who said that all the time and also that she would “carry” me to wherever we were going. That one always cracked me up. What’s on my camera roll? Photos of grandchildren, of course! Yep–carry is another one which makes me giggle. And buggy. I have morphed into somewhat of a southern gal because I do say a lot of the phrases that are common but I do not say fixing ….yet. I love these posts. Of course I love any cat photos you post. That chocolate looks delicious. I did not know that part was called a frog. Glad you liked the post, Jeni. You know these two kitties (who are laying along side me) miss you as well. You were such a great cat sitter for a long time. I always have cat pics on my phone. Always. Your bracelet is lovely. I agree with Dianna you do not look like a dork. Nice picture. . I have to admit I feel the same way about most of my pictures. Personal I think you are lovely inside and out. Stay ward. Thanks, Shirley==you are so kind. I imagine most of us hate our pictures. Thanks, Susi. 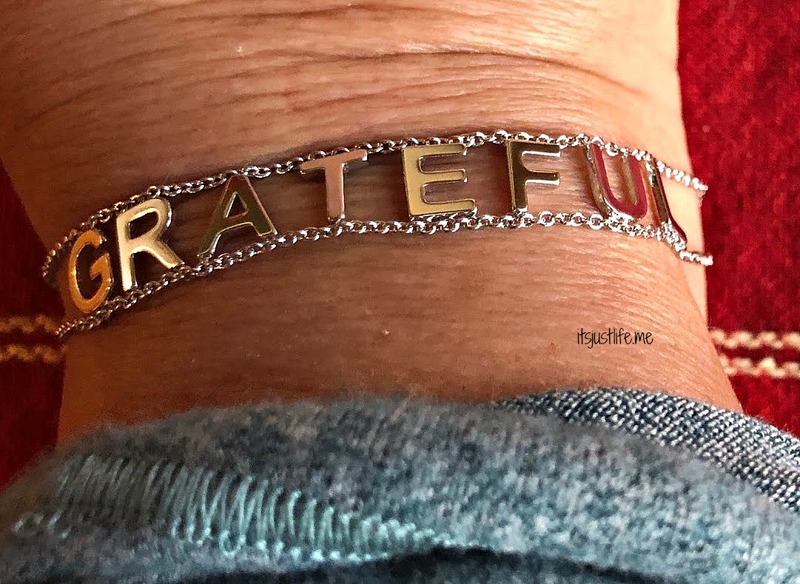 Gratefulness is a great thing to embrace and I love that you are embracing it as well. It’s a good one.